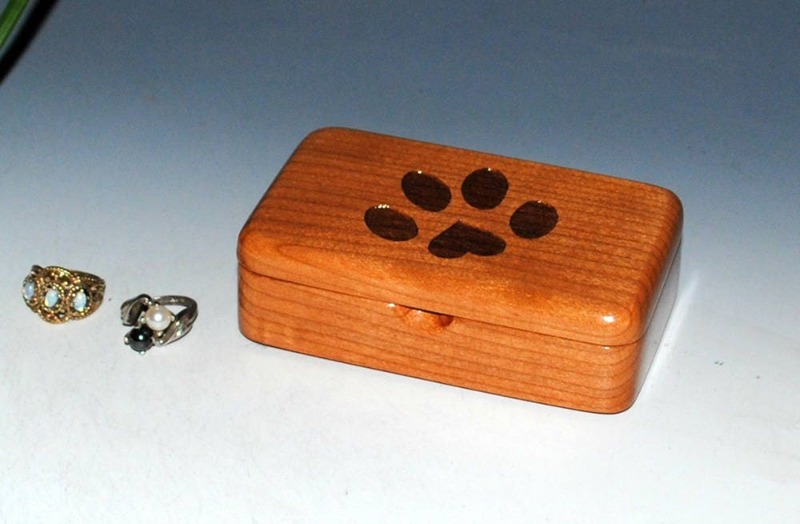 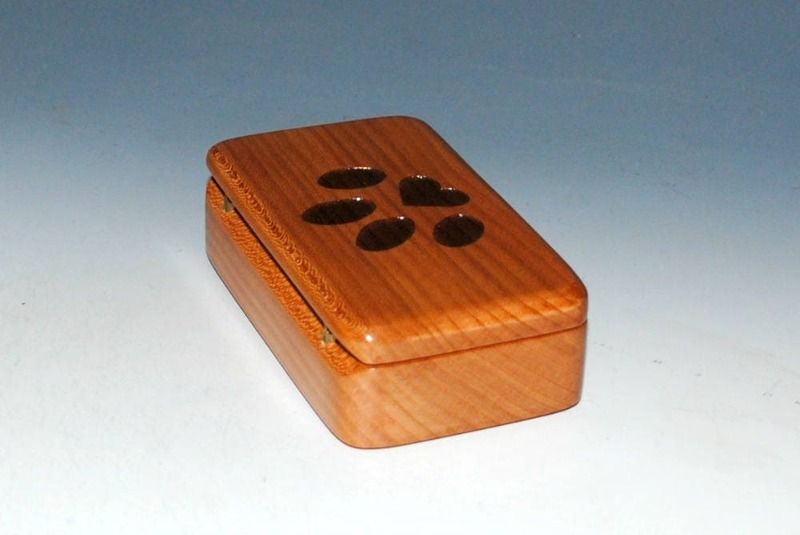 Handmade wood box of cherry with a laser engraved paw print with a heart by BurlWoodBox. 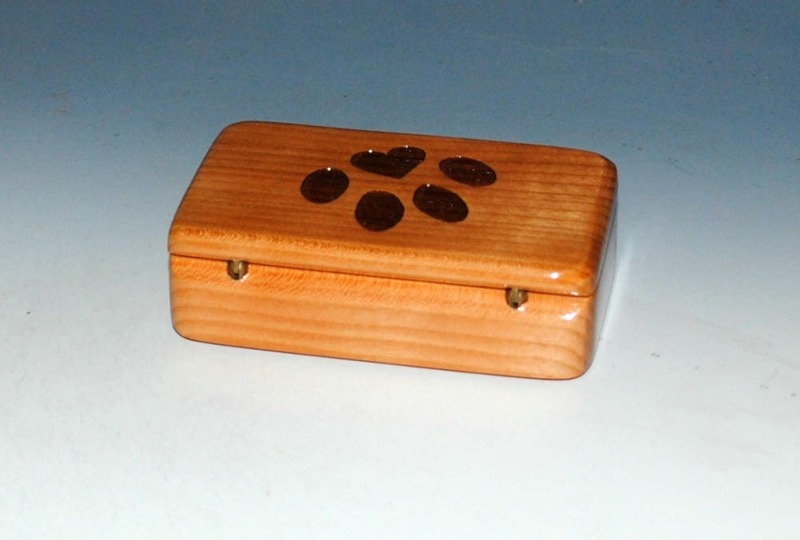 Purrfect small wooden box for you pet furreinds :) Can be used as a gift box, a small jewelry box, or for that special treasure. 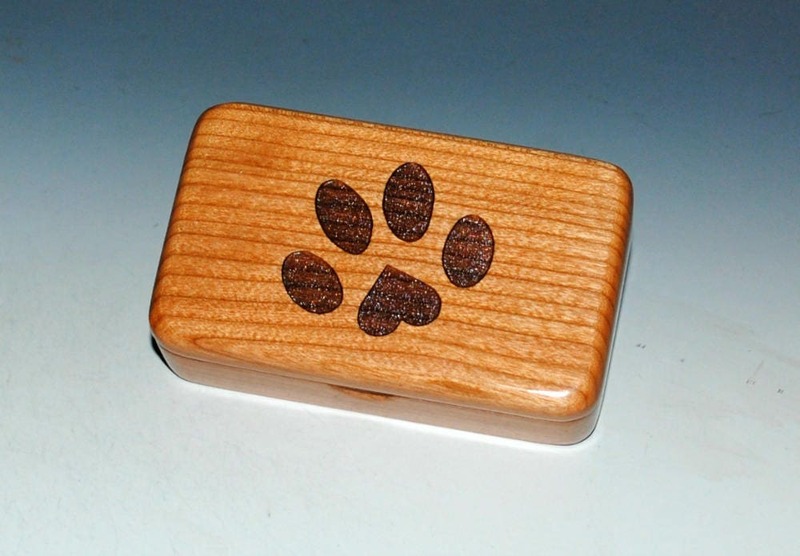 This small engraved box would also make a nice gift for that special vet in your life. 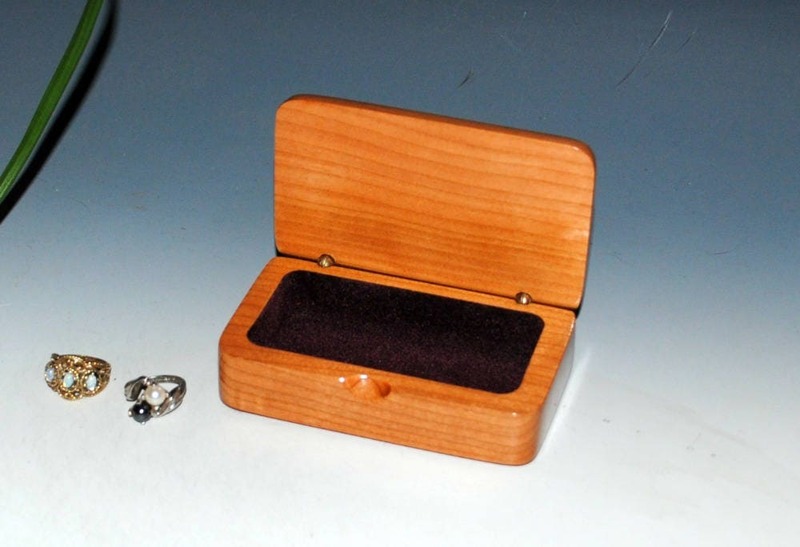 Box is lined with wine rayon flocking to compliment the lighter cherry. 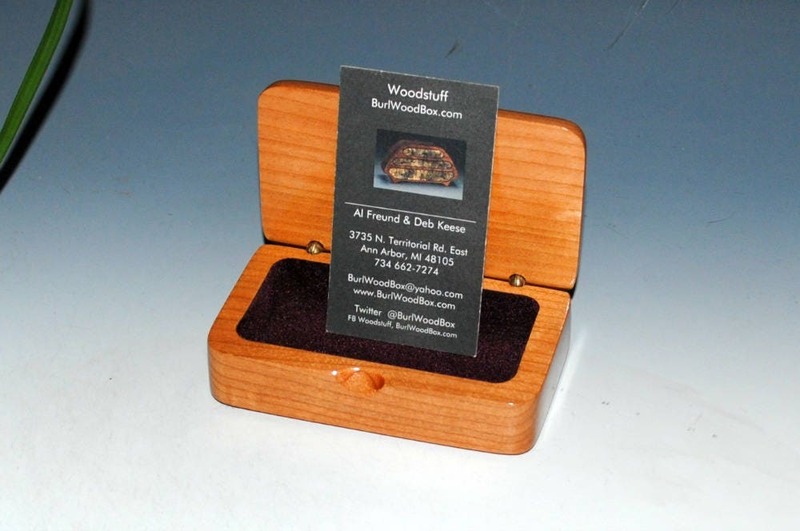 Shipping is via USPS First Class Package with 1-4 day delivery to most of the USA..
You can see more styles of our wood boxes on our home page, link follows.